So don't hesitate to contact our Kia parts department today! Drop by our Kia dealership to speak with one of our parts center associates about the work you're looking to complete on your ride or the various ways you're looking to customize it. Our staff will introduce you to a number of affordable OEM parts and accessories that will help get the job done, or accomplish the look you're going for. Many products are backed by a factory warranty if installed by a certified technician, so if you'd like to take advantage of any such warranties, feel free to get in touch with our Kia service department to learn more. Drivers that aren't in the Grand Rapids or Wyoming, Michigan vicinity can still take advantage of all the benefits that come from using OEM parts, thanks to our online Kia part ordering form. Place a request now and don't hesitate to contact us if questions arise as you work through our form. As soon as your components are ready to be picked up, an Elhart Kia team member will be in touch. 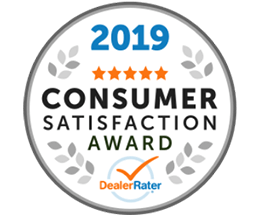 We thank you for choosing our family owned and operated new and used Kia dealership in Holland, MI for your genuine auto needs and look forward to customizing a part shopping plan to fulfill your requirements soon.